Status: Life is a paradoxical enigma; and as such, it is not worth explaining why I ever was a part of this site, or what my true intentions are in life. Well, I sort of know... but they are not achievable. Farewell to this site. 1.1 My Reviews Of Some Games I've Played! My YouTube account - FREE stuff being given away. Dom »» McTalk My pathetic contributions (a bit under 2000) - click here. My Reviews Of Some Games I've Played! Deleted the list, but Dimentio is the greatest character of all time. Psychotic jesters who use strange similes in their speech patterns are rather awesome. Deleted the massive list; most of it was lame or 'wtf-random' anyway. If you want something funny (albeit vulgar), watch some videos by Jon Lajoie on YouTube, or for something more on the random side, watch my favourite video of all time: Arthur's Massive, Throbbing Hit. This video affected my speech patterns for all of 2009 and I'm still suffering from '...ness' syndrome. This list would reach the planet Pluto if I completed it. Due to the restrictions of current internet speeds, I will resist the tempting prospect of crashing your 'interwebs'. It would crash mine by writing it, anyway. Deleted this list too. Play Zelda: Twilight Princess (my favourite game of all time) and you've lived a good life. If not... I don't know how I can help you. Deleted this list too (see what I did there?). A lot of stuff. 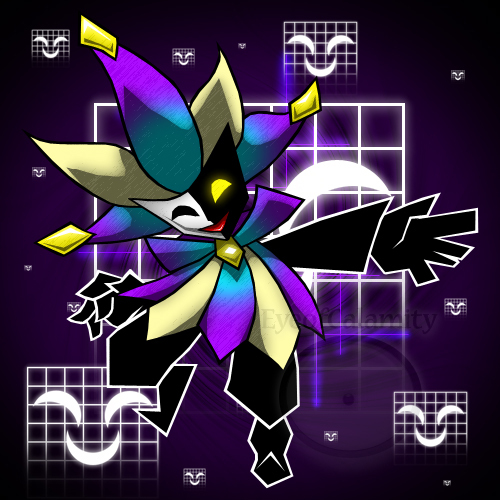 Dimentio's final theme is epic, among other things. - Inspired many aspects of me. - No comments are necessary. This page was last edited on January 30, 2010, at 08:02.